Attention adults of Job’s Daughters! 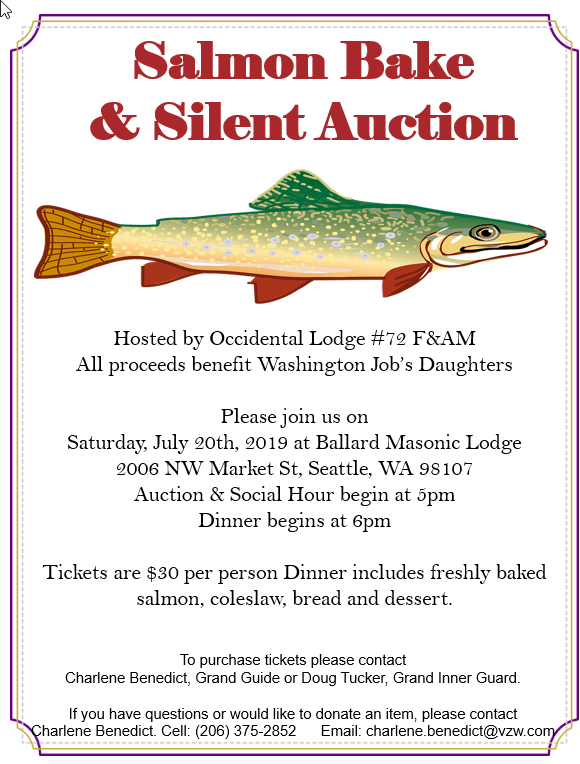 Occidental Lodge is hosting another Salmon Bake Dinner and Silent Auction to support the Job’s Daughters of Washington State! Buy your tickets as soon as possible, to secure your place at the table. Even if you are not able to attend please consider buying a dinner ticket in order to make this event a successful fundraiser for Washington Job’s Daughters. We are also looking for anyone willing to contribute or donate items for the Silent Auction! Enjoy your mouth watering dinner!